The Secrist Team has just recently been awarded Berkshire Hathaway's #1 Sales Team for 2018.......Again! They continue to provide the most professional, knowledgeable and experienced service to home buyers and sellers throughout Utah. 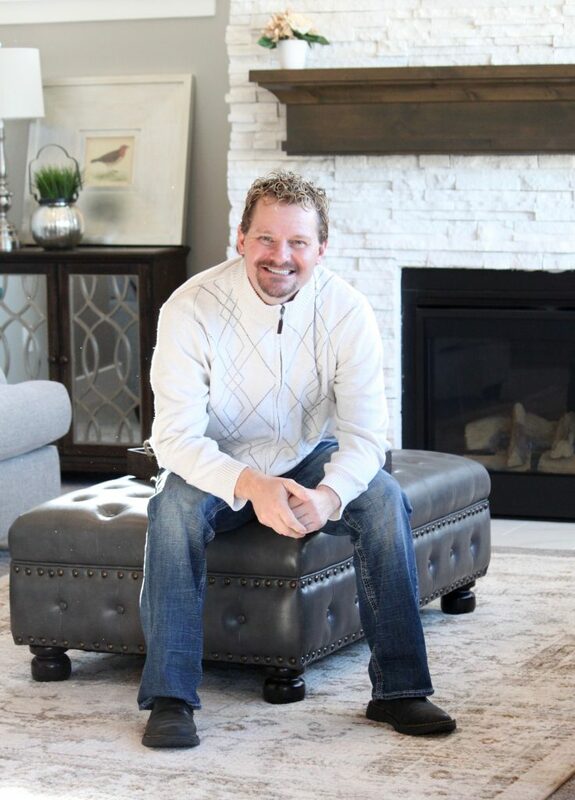 The Secrist Team utilizes the most comprehensive marketing tools and innovative technology available and they understand and are experts in the Utah Housing Market! 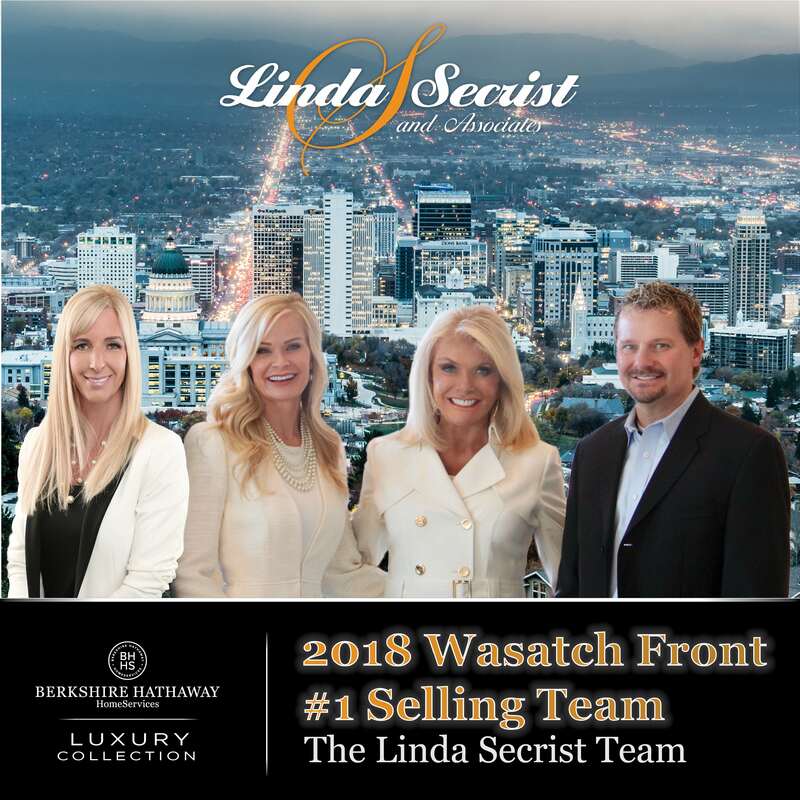 Since joining the real estate industry in 1991, Linda Secrist has become one of the most decorated and successful realtors in the Nation, let alone the Wasatch Valley, nestled in the heart of beautiful Utah. With prestigious awards such as Salesperson of the Year(Salt Lake Board of REALTORS), a 20-time Top 1% National Ranking, 26-time Sales Team of the Year (Gump & Ayers, Mansell & Associates, Coldwell Banker, Prudential of Utah & Berkshire Hathaway of Utah), Rookie of the Year, Sales Team of the Year (Salt Lake Board of REALTORS), and recently designated a Top 100 Agent Worldwide …. so what’s left? Tons, if you ask her. Linda is not only one of the most successful and effective “closers” of all time, but she continues to define the industry in both traditional and non-traditional avenues. She’s innovative and persistent in marketing. 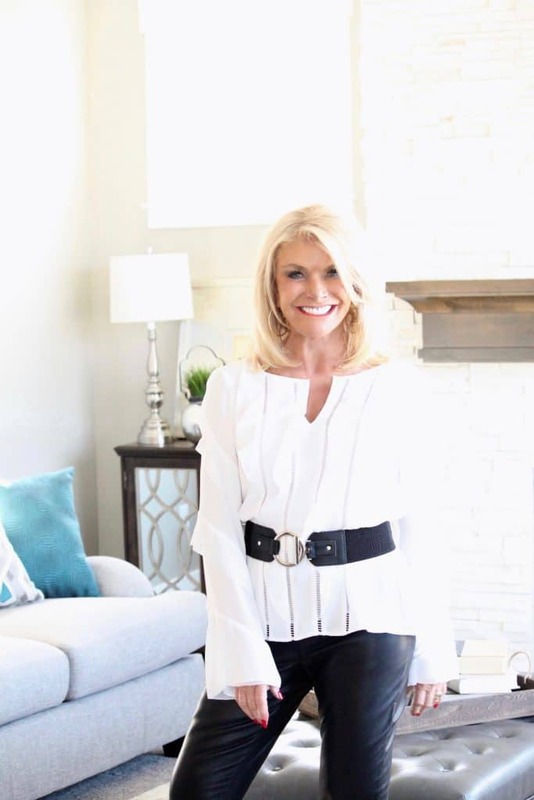 So much so, Linda Secrist is now a brand synonymous with luxury real estate throughout Utah and beyond. She’s closing in on ONE BILLION DOLLARS in residential real estate volume and continues to average 60+ million in annual sales volume over the past ten years. Yes, that includes the time period in which the entire country saw one of the worst real estate crashes ever. It’s a common misconception that the work behind the luxury real estate market is just that … luxurious. With three to ten times the property comes three to ten times the expectation. And with three to ten times the expectation comes three to ten times the commitment to the client. Since joining The Secrist Team over 20 years ago, Lisa and Linda have combined to win Sales Team of the Year (Gump & Ayers, Mansell & Associates, Coldwell Banker, Prudential of Utah & Berkshire Hathaway of Utah) over 20 times. Together, they’ve earned the prestigious Small Sales Team of the Year Award from the Salt Lake Board of REALTORS. Continuously, they’ve grossed $60+ million average annual volume over the past decade. Lisa’s expertise in interior design and staging compliments Linda’s marketing expertise. Their most recent award for the Medium Sales Team of the Year Award by the Salt Lake Board of REALTORS tops off their recent accolade as one of the Top 100 Realtor Teams Worldwide. In addition to life with the Linda Secrist Team, Lisa is a dedicated mother to five “on the go” children. She’s a proud Utah native and an active participant in all it has to offer. If she ever comes up missing, check Lake Powell, any hot yoga studio or the ski resorts up Little Cottonwood Canyon. You may catch a glimpse of her and her CMT award winning country musician hubby, Chance McKinney, as they catch a few moments together in whatever “downtime” a full-time Realtor and frequent traveling musician and parents to five can actually squeeze into a 24 hour day. Rebecca Higgins is the newest member of The Secrist Team. Rebecca has over 10 years of experience in the mortgage and real estate market. She brings with her a wealth of knowledge, experience, and success to contribute to an already extremely successful real estate team. 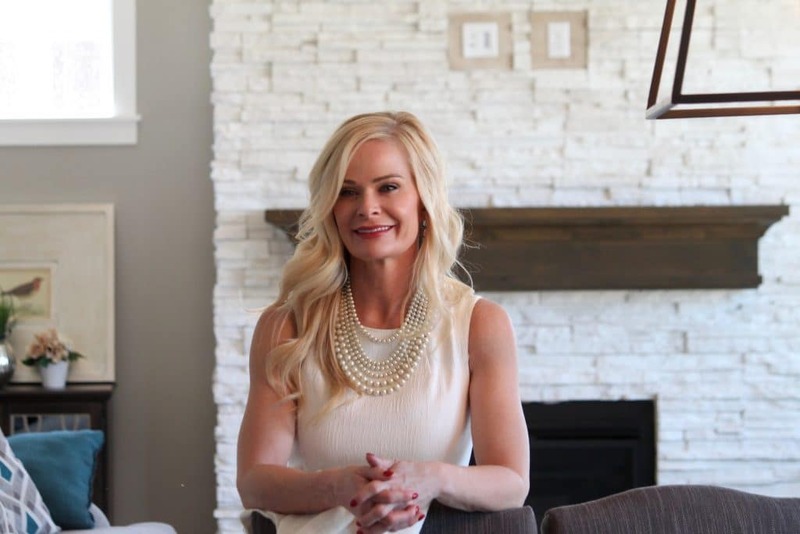 Her passion for real estate started at a young age; whether it’s painting a room or helping a client buy or sell their home, she loves to invest her time in real estate and designing new spaces. Rebecca has experience building homes and helping others create their own dreams. She loves the potential real estate can create as well as the impact it has on our daily lives. It is the most important investment a person or family will make. Rebecca lives in Northern Utah County and serves the real estate needs of the people she knows and loves in Utah County and through the Wasatch Front. Berkshire Hathaway HomeServices Utah Properties provides the most enhanced worldwide services and resources which she will pass along to her valued clients. Outside of the office, Rebecca enjoys spending time with her family, exercising, interior design, travel, and working with children. What are you known for? – Extensive knowledge in construction, design, mortgages, and finance. Hardest thing you’ve ever done – Working with my daughter as she struggled through dyslexia and several health challenges. Perfect day – Looking for seashells on the beach with my kids and sipping a diet coke. Secret talent – Can work a jig-saw, sander, and any other power tool while building projects with my kids. Define success – working or serving with others which turn into lifelong-relationships in the process. It doesn’t cost any more to use the best! Put The Secrist Team's experience to work for you today!